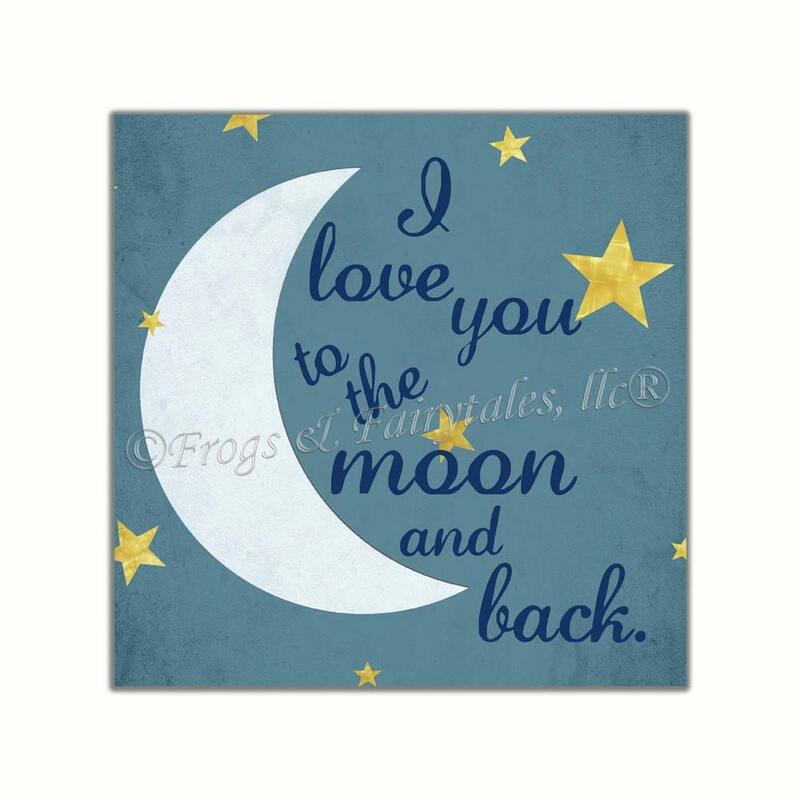 "I love you to the moon and back" This gallery wrapped print would be great in any little one's room! It features a moon with shimmery gold stars behind this sweet saying. This piece is printed on canvas using archival inks, and then sealed with a satin finish polyurethane to keep the ink from smudging. Please use the drop down menu to select the size of your print. If you'd like this design printed in colors other than those shown in the listing example, please use the "Request Custom Order" button on our shop page to message us. Thank you!